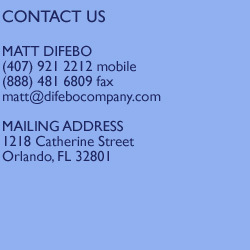 In April 2005 Matt DiFebo was recruited to the UCF Athletic Association by, then, Director of Athletics, Steve Orsini (now at SMU) to implement an in-house ticket sales department. DiFebo left his front office position with the NBA’s Seattle SuperSonics to pioneer a ticket sales initiative in collegiate athletics. At the time, UCF Football had the longest losing streak in the nation and played at the off-campus Citrus Bowl stadium in downtown Orlando, 13 miles from campus. In the first full year of operation, the ticket sales department gained the adulation and confidence from the core fan base that previously had not experienced such favorable customer service. More impressive was the increase in football ticket sales revenue by over $2.3 million dollars from the previous season. The following two seasons the sales department would increase ticket sales revenue by over $4.5 million dollars from the 2005 season. In addition, nearly $3 million in fundraising dollars have been generated by the department in the past four years. DiFebo gained recognition from his peers around the nation as a leading expert in collegiate ticket sales. His notoriety has lead to frequent request for his expertise and consulting services. Among the first clients was the University of South Alabama Athletic Department. In January 2008, DiFebo contracted with the school to build an in-house ticket sales department modeled after his UCF prototype. Following his recipe for success he worked with University administrators and revenue-minded athletic administrators to implement the sales model. Before the first basketball season the program achieved a 100% increase in, both, ticket sales revenue and season tickets. The South Alabama ticket sales staff was also tasked with selling season tickets for its inaugural football campaign set to kick-off in September 2009. Heading into the first season the newly created ticket sales department has sold nearly 8,000 season tickets and generated an additional $200,000 in fundraising contributions.